The body can not make them on their own, they have to be ingested with food. Modern science to date recognizes 13 vitamins. Four of them, A, D, E, and K are fat soluble and stored in adipose tissue. The remaining nine are water soluble and are not retained in the body and they require daily replenishment through food ingestion. Vitamins are in essential for normal growth, metabolism, digestion, mental processes as well as for increased resistance against infections. They are enabling the body to incorporate carbohydrates, lipids and proteins and are helping in basic biochemical cellular reactions. Body is constantly striving to keep the steady state and keeps optimal levels of vitamins in circulation. 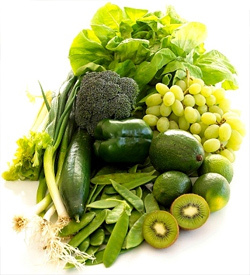 Water soluble vitamin excess gets eliminated through the urinary tract, whereas the fat soluble vitamin excess get deposited in the fatty tissue and can be toxic if deposited in high concentrations. The body is especially sensitive to elevated concentrations of vitamins A and D.
Minerals are inorganic matters that make up approximately 4-5% of human body. They are essential matter, which means that body can not produce them on its own, but they have to be ingested by food. They are found in bodily tissues, and fluids, and are essential nutrients for make up of bones, brain, blood, enzymes, hormones and hemoglobin. Generally, minerals can be divided into macro and microelements. Macroelements are needed in larger quantities in food, i.e. (sodium, potassium, calcium, phosphorus, magnesium, chloride and sulfur). Microelements, also known as trace elements, since they are essential in very small quantities (iron, iodine, zinc, fluoride, copper, manganese, chromium, molybdenum, cobalt, selenium and vanadium). Minerals get excreted daily by sweating, digestion and breathing, so they need to be replenish daily, as well. Their insufficiency can be caused by an inadequate food intake, increased needs, low utilization or any physical or emotional stress. Even though all eighteen minerals are needed for normal functioning, RDA (recommended daily allowance) is established for only six minerals – calcium, iodine, iron, magnesium, phosphorus and zinc. One has to be very careful with daily ingestion of vitamin pills. Ingestion of vitamin D in large quantities can cause kidney damage, large quantities of vitamin A ingestion can cause liver damage. Minerals and vitamins are in a very delicate balance and any change of that balance can cause reaction and imbalance of other minerals and vitamins. In summary, in large doses, any vitamin or mineral can be noxious. Measurement and testing of the amount of minerals and vitamins can be preformed by measuring the skin resistance by an organometer BIMED999S. This is a painless test which reveals present concentrations of vitamins and minerals in the body. Information obtained by this method can direct treatment in replenishing deficiencies. This method was developed by Dr. Voll about 40 years ago, and is based on the fact that substances accumulate on exact points on the skin, which mostly coincide with known acupuncture points. The exam takes approximately 20 minutes and analysis includes all vitamins and minerals.